After the foundation of the alliance of 11 institutions from five continents in September 2017 in Potsdam, the annual member meeting took place from August 9-14, 2018 with a series of mini-conferences at the alliance’s headquarters in New York. During four conference days everything revolved around the solution potential of Design Thinking: Solving complex problems fast and creatively, in multidisciplinary teams and with a human-centered perspective. The conference highlighted three aspects of the theme “Designing Digital Transformation”: On August 9 & 10, more than 70 participants from academic institutions such as the Massachusetts Institute of Technology, New York University or the Parson School of Design addressed the future of education. GDTA member institutions introduced their programs and discussed how to redesign the educational experience in talks and workshop sessions. Moura Quayle of the UBC School of Public Policy and Global Affairs shared her insights on designed leadership, while Dato Lee Yew Meng of Genovasi d.school Malaysia presented how civil servants in Malaysia are trained to think more innovatively with Design Thinking. Jochen Schweitzer of University of Technology Sydney illustrated how Design Thinking can be applied in entrepreneurial education. A perspective from Sweden was shared by Johan Bornebusch of Södertörn University. He talked about how the city of Stockholm turned to Design Thinking school Open Lab to foster Social Innovation. Moreover, he presented his initiative Reality Lab that engages staff of a nursing home and its inhabitants with dementia in co-creation sessions to develop innovative solutions. The conference was also honored by a high-level visit from Jeffrey Sachs, Director of the UN Sustainable Development Solutions Network and Director of the Earth Institute at Columbia University. He gave a keynote speech at the conference on August 13, which focused on digital transformation in society. On August 14 participants discussed the challenges of digitalization for businesses. 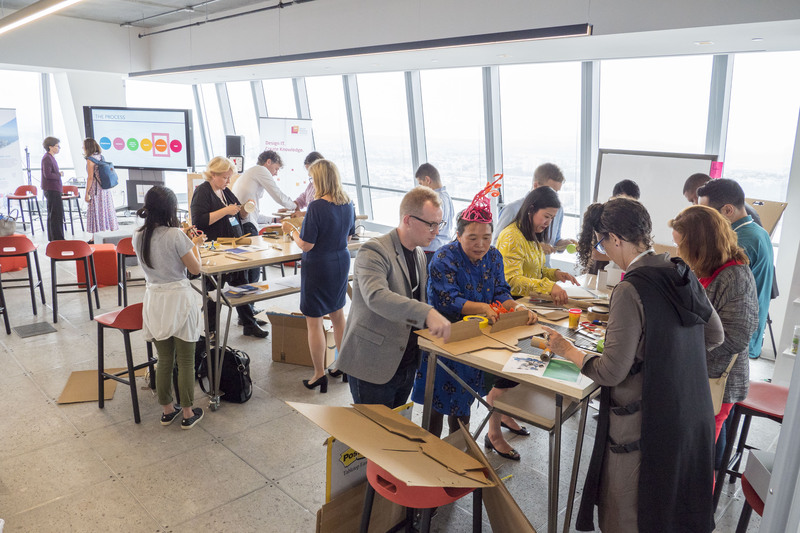 Companies such as Coca-Cola, SAP Design and Infosys shared their experiences with applying Design Thinking. With an international exchange program for Design Thinking coaches the next GDTA initiative will start in September. Representatives of the HPI School of Design Thinking will travel to Genovasi d.school in Malaysia to support and learn about the local approach to Design Thinking. Review our conferences on Designing Digital Transformation and Education, Designing Digital Transformation: Focus on Society, and Designing Digital Transformation in the Business World.